Today, KIDLIT 411 is very honored and thrilled to interview the talented author, Michael Ian Black. Michael has been writing for many years, and his writing talents include screenwriting and stand up in addition to his books for adults and children. 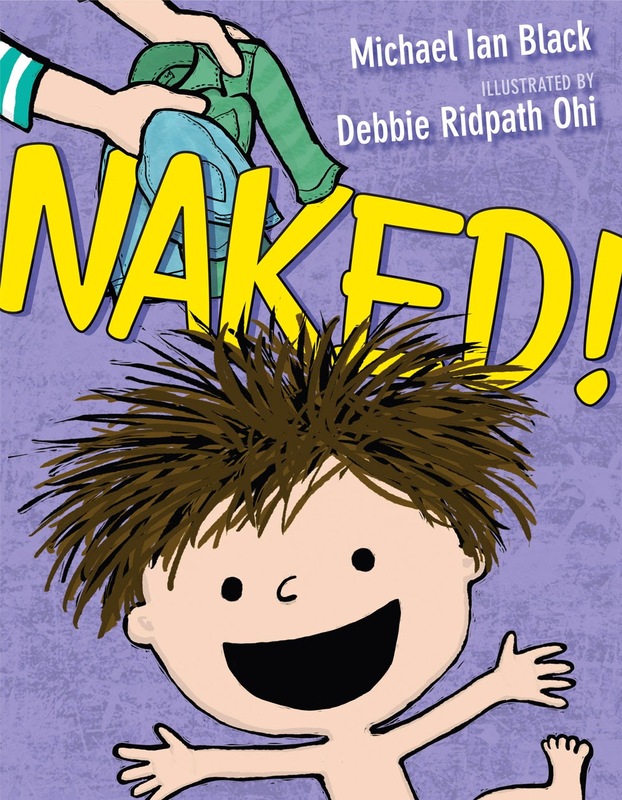 KidLit411 was lucky enough to interview Michael via phone at his home in Connecticut, as he prepared for the release of his newest picture book, NAKED! with illustrator Debbie Ohi. Thank you very much for spending some time with us Michael, we've got some questions for you regarding your writing craft. Your talents are so varied! Do you find that there is there a huge difference in writing your stand up material versus writing your books? It depends on the genre that I am writing about. Obviously, there is a good deal of stand up material in my adult books, because the ideas easily relate to one another. When I am writing for children, usually a more kid friendly idea develops. Even though I am using the same skill set, the execution of both is very different. You have written for both children and adults. In your opinion, which is harder? Nothing is easy when it comes to writing. It is not easy to write in any genre. My writing for children evolved from reading to my own children, being immersed in that genre and coming up with my own ideas. However, it is not just coming up with an idea, but the execution of the idea, that makes your writing successful. Execution is everything. Do you find it difficult to surrender your manuscript to an illustrator? Did you have many illustrator notes in your manuscripts? I had very few illustrator notes in my manuscripts. I believe that it is important to remember that illustrators are the professionals in their craft and that they know what they are doing. Early in my writing career, I had an in depth conversation with my editor, and we both believed that an illustrator needs room to do their job. I have been incredibly blessed with the illustrators that I have worked with, such incredible talents like Kevin Hawkes, Peter Brown and Debbie Ohi because as artists, they have taken the manuscript to places that I never dreamed possible. I do not think that I would be able to pick just one! But some authors that I admire are Mo Willems and Oliver Jeffers. I love authors that have the ability to make children and the adults that read to them, laugh. Do you have a specific type of writing ritual? I wish I could tell you that I was disciplined enough, with regard to my writing, to have a ritual. I tend to write wherever I can and whenever the muse strikes. I write while sitting on different couches in my house or on the kitchen counter. Sometimes I will write in my local coffee shop. It doesn't matter, as long as I am writing or plotting my writing. I use an application called the FREEDOM app, and I set it for 25 minute blocks so I can get interrupted writing time. Sometimes I will repeat the 25 minutes a few times and get a really good chunk of writing time completed. I am very easily distracted by social media, especially Twitter. Do you have any advice for authors trying to get published? My best advice is to focus on your craft and to proceed with grace. Focus on your craft. 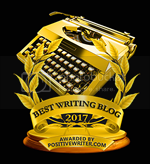 Write the best that you can because that is the only thing that you can control in this industry. You cannot control if an agent will be interested in you, or an editor or a publisher, and it's that way for everyone. It doesn't matter who you are so do not feel singled out. Write for the imaginary audience in your head, and not anyone else. 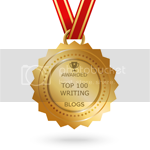 Your job is to do the your writing/illustrating job right, and you are the only one who can do it. And the KidLit411 question that we ask all of our authors, anchovies, yes or no? My family and I have designated friday nights as "pizza night." We frequent our local restaurant and they make a delicious pizza with an anchovy sauce. So for us, anchovies are a YES! Thank you, Michael for sharing your process with KidLit411! Michael Ian Black is a comedian, an actor, and a writer best known for the television shows The State, Stella, and Ed and for his frequent contributions to the VH1’s “I Love the...” series. His other picture books are Chicken Cheeks, The Purple Kangaroo, A Pig Parade is a Terrible Idea and I’m Bored. Michael lives in Connecticut with his wife and two children. Sound advice to focus on that which you can control ( why my sock drawer is immaculate). Thanks for bringing us such good interviews, KL411! I can totally see your sock drawer being immaculate, Julie! LOL! "Focus on your craft and proceed with grace" - a lovely sentiment and good advice. I am a fan of what I call Michael's potato book -- I mean, come on...A POTATO MC!!! -- so I look forward to seeing what NAKED has in store for us. Thanks for the great interview, Kidlit411! I will confess to my bias: anyone who likes anchovies gets viewed with higher esteem by me. Thanks, KidLit411, Elaine, and Michael for sharing some insights into Michael's writing process! "...Proceed with grace." Gotta love that statement! So true in this industry where feelings can be unintentional hurt. You have to have to be tenacious in this business. I can't wait to read Naked! Umm....okay, that didn't sound right. I can't wait to read your book, Naked! Okay, take 3: I can't wait to read your book, Naked! while fully clothed. There. I love this-My best advice is to focus on your craft and to proceed with grace!